This is a thoroughly energising and essential stop on any tour of New Zealand. Far from the city reaches this eco-friendly haven will see you enjoy the most attentive service in the New Zealand wilderness. Te Waonui is nestled amongst the West Coast rainforest and is easily reached by Franz Josef. The South West World Heritage area is on your doorstep and you can make the most of the surrounding glaciers, rivers and coastline that are rich in native flora and fauna. As you might expect from an environmentally conscious hotel, rooms are furnished with natural products. 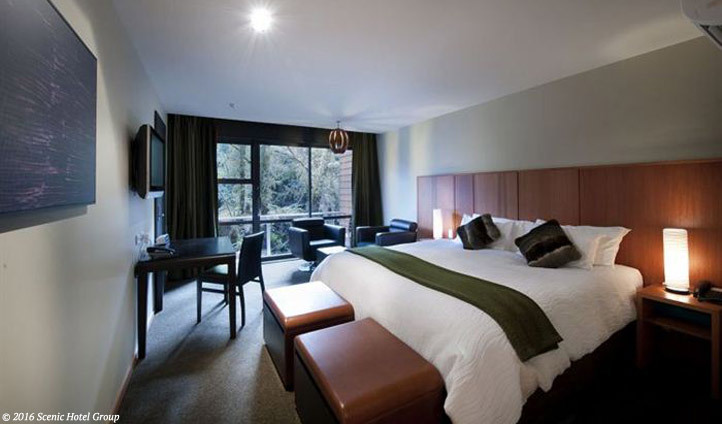 Deluxe rooms are stylish and minimalist with gentle lighting and vast floor to ceiling windows enabling you to marvel at the forest outside. 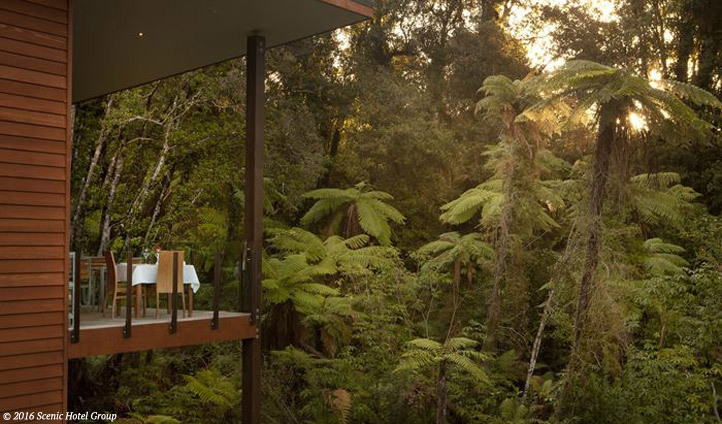 We love the ultimate seclusion that Te Waonui provides, but the icing on the cake for us was the fantastic local cuisine at The Canopy restaurant. New Zealand Oysters and Grouper ceviche were some of the highlights of their five course tasting menu.